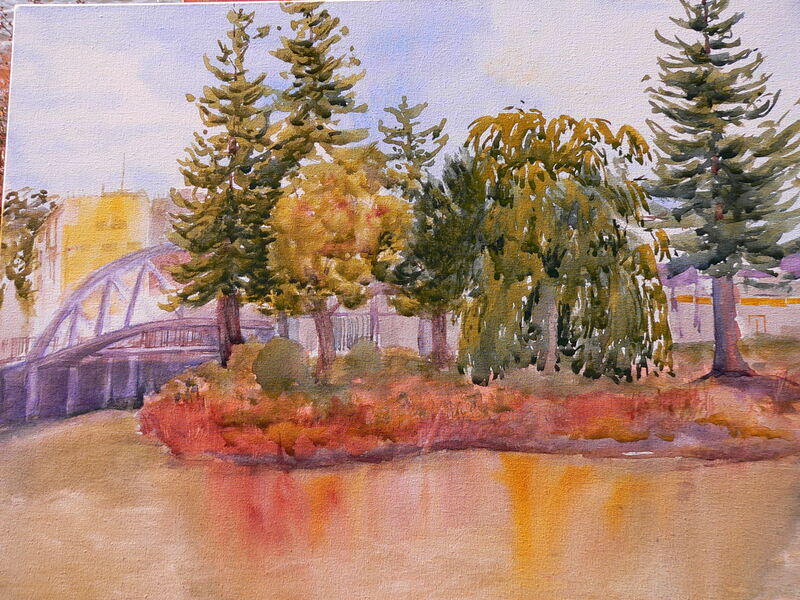 The next painting opportunity was September 20…the first Petaluma Paint Out. 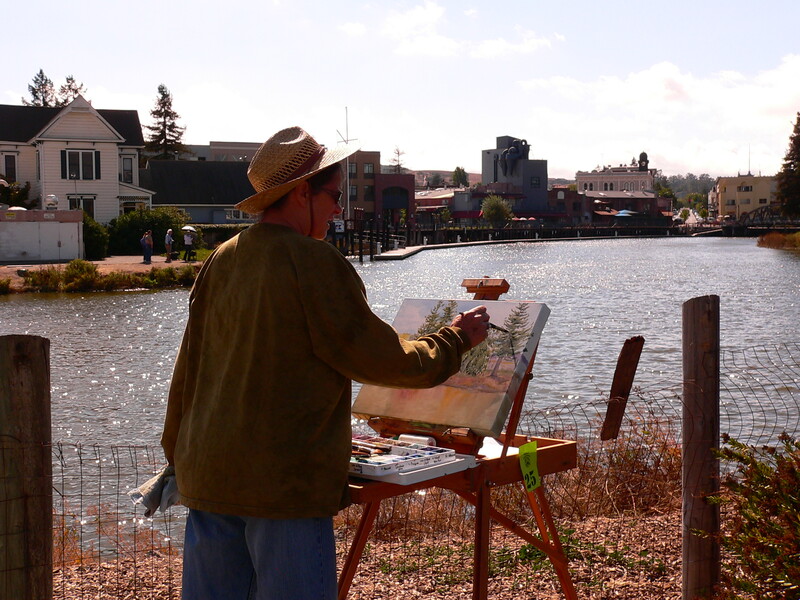 Several artists gathered around the Petaluma Turning Basin to paint all day. At the end of the day, we all showed our paintings at the Theater District Square. I chose to paint watercolor on specially prepared canvas, my second attempt to do watercolors on canvas. This particular canvas took the color slightly better than regular canvas. Here I am sweating away (not really) at my painting…what a gorgeous day! You can see some of the other painters across the Turning Basin. Painting with watercolor paints on canvas is challenging because, unlike paper, the canvas refuses to absorb the paint. It’s a mixed blessing. You can make changes easily and you can change the painting too easily! Adding to the pleasure of the day was the sound of Taiko Drummers in the background, helping to celebrate the opening of the new Petaluma Art Center. At one time, I was very involved in creating that Art Center. Mary Dooley, a local architect, donated her time to design the center, which is at the Petaluma Train Depot…she did a beautiful job. I hope it will become a true communal center for people to find creativity in their lives.